“Kidults” – The emerging demographic and demand for a new type of home. home > Newsletter > “Kidults” – The emerging demographic and demand for a new type of home. Adult children still living at home with mum and dad. It’s a growing trend that’s having a profound effect on Australian households. A recent survey by Mozo shows as many as 31% of Australians aged over 18 years fall into this category. That means there are literally millions of households where the grown-up kids aren’t moving out. As many as 68% of these “kidults” cite financial issues as the primary reason. With property prices remaining unaffordable for many young people and the rising cost of living, this is a trend that’s unlikely to be reversed any time soon. Anecdotal evidence shows this trend is having some significant effects on the property market, with a shortage of available homes that are suitable for inter-generational families. If you’re looking to sell a large family home, a few key changes before listing could make the property particularly appealing to prospective inter-generational families – helping you secure a higher selling price. Changes such as these will help prospective buyers see the house as an ideal space for multiple generations cohabiting. 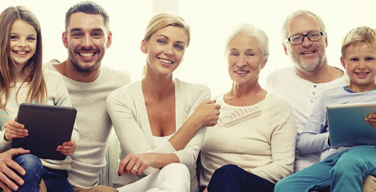 One of the primary concerns for inter-generational families is a lack of living space. With different members of the family wanting to use such spaces in different ways, creating a second living room will give the family the space it needs to spread out. Different family members can entertain their friends in separate spaces, or watch different movies, without cramping each other. As the name suggests, the granny flat was traditionally for a grandparent to live in. However, a space such as this can also be ideal for a “kidult”. It provides the occupant with a substantial amount of privacy and independence, while still ensuring the entire family unit is kept together. With many councils amenable to the construction of granny flats, this could be a relatively low-cost addition to your property that will significantly boost its value. With multiple generations living under one roof, it is inevitable that additional storage solutions will need to be found. Look to install smart storage solutions in underutilised spaces, such as in garages or in the attic. Having sufficient storage is important to ensure the household remains orderly. With more people in the household, bathrooms will always be in high demand. If possible, add an extra one. Perhaps the laundry can be repurposed as an additional bathroom, or an ensuite can be added to one of the bedrooms. The more bathrooms a property has, the less chance of conflict in the mornings when everyone is rushing to get ready for work. In recent decades, the trend in houses has been towards open-plan living. That might not necessarily be the best solution for an inter-generational family. The one drawback for open plan living is that noises travel all through the house. 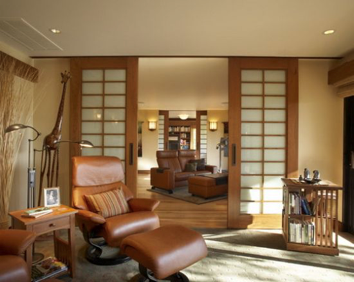 For an inter-generational family, it is probably more useful to have flexible spaces with doors that can slide away to create a large open space when needed. Alternatively, they can be closed when required so different family members can use different spaces for different purposes. The key consideration is flexibility. Try to show how spaces can be used in multiple ways. However, one thing all families need is a large central space for meals, so make sure the family dining space is large enough, preferably connected to the kitchen. If you’re looking to sell a large family home in Sydney’s Inner West, speak to Devine Real Estate first. Our knowledge of the local market makes us your ideal partner to consult about changes you should make to your property before listing, so that you can sell for top dollar.